When building your own AI images with distro_const it is useful sometimes to add a custom script to modify the resulting image. This is easily achievable by adding a custom script to the xml manifest provided to distro_cons. For example, to change the default password for user jack, add the following checkpoint to the xml file, just before pre-pkg-img-mode checkpoint. desc="Lock the jack account from login"
Darren Moffat blogged about how to force both GSSAPI (or pubkey) and OTP on Solaris in OpenSSH. This works, although is not entirely obvious how to set it up at first. Ben Rockwood's take on containers. 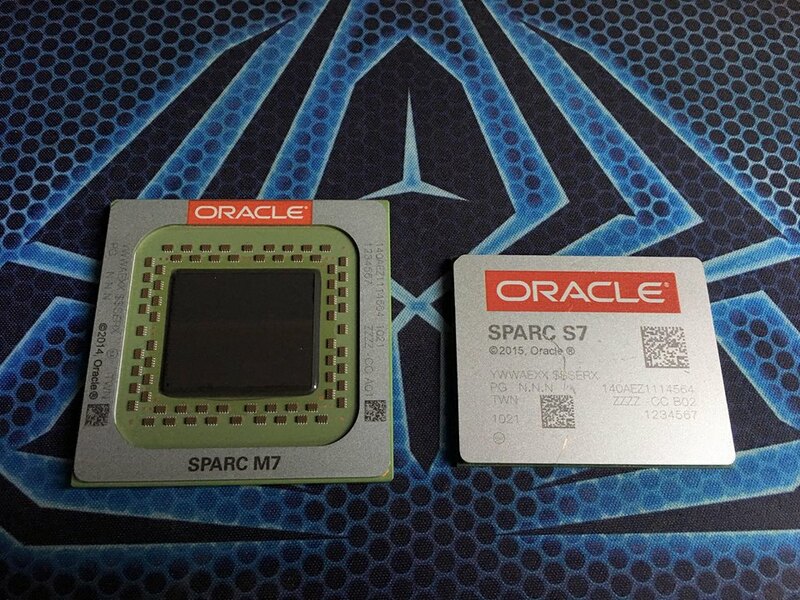 Oracle released new SPARC S7 CPU and SPARC S7-2 and S7-2L servers. This is really interesting SPARC CPU if you need low-end servers, the first one in many, many years which can compete with x86 both in performance and price. It has some unique features as well. Recently I was looking into how to increase SO_RCVBUF size for a given socket in a running process, without having to restart it. This could be useful, if an application can't be restarted anytime soon, yet there are drops observed due to too low receive buffer set, or perhaps a given application doesn't even allow for the receive buffer to be specified and has a hard-coded value. In my case, an application does allow for the buffer to be specified, but it only sets it on startup and I couldn't restart it. Solaris (nor Linux AFAIK) does not provide a tool to easily adjust the buffer for a socket in a running process, so I looked if I could do it via libproc. The answer is yes, and it is pretty straightforward. I quickly wrote a small C program which changes the SO_RCVBUF size for a given pid and file descriptor number. Let's see an example on how to use it. The code is very similar to the one I wrote last time. However, as there is no pr_setsockopt() wrapper function, I wrote one based on how the other pr_* functions are implemented, specifically pr_getsockopt(). The trick is that there is Psyscall() function available, which allows you to call any syscall from the target process, so all that is required is to use it to call SYS_setsockopt. As the source code for Solaris is no longer publicly available, I used Illumos source code. The program was tested only on Solaris 11 x86, although it probably works fine on Solaris 10 and Illumos, and should work on SPARC as well. It is a quick "hack", with no safeguards, no proper argument parsing, etc. Free and open API now available. ps command can now show full command line on Solaris 11 as well. Thank you Casper.